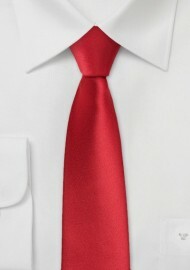 This bold red tie features a modern skinny cut of 2.5 inches at the widest part. A perfect modern accessory for all slim cut suits and fitted dress shirts. Prefer a regular width tie instead? 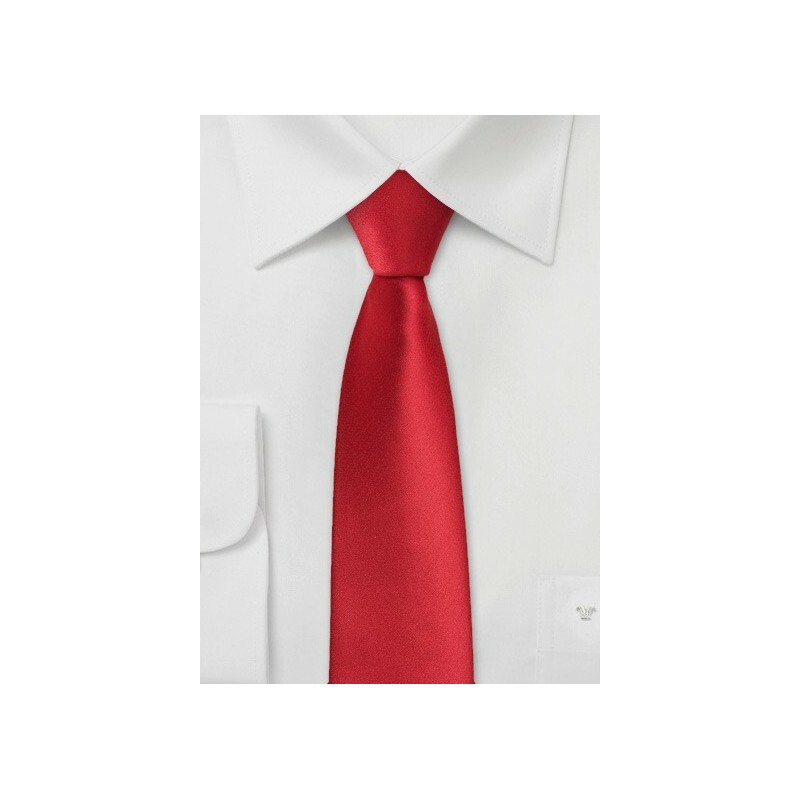 Then we also carry the exact matching red tie in regular width, in kids size, in XL length, as bow ties, and even as the matching pocket squares. All these variations of this bright red color can be found via the links below. Made from microfiber.